File photo of Fauzia Kasuri (right) while joining Mustafa Kamal’s (left) Pak Sarzameen Party. 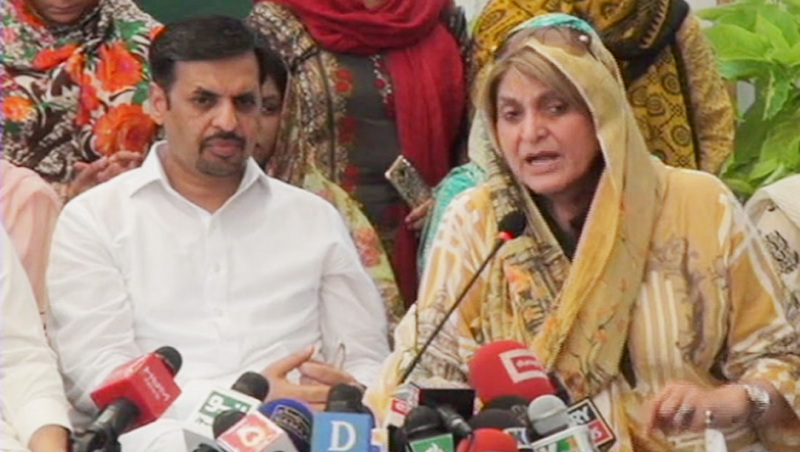 The returning officer for NA 247 Karachi has rejected the nomination papers of Fauzia Kasuri citing lake of information regarding her dual national status. The FIA had given a list of candidates having dual nationality to the Election Commission of Pakistan (ECP) which contained the name of Ms. Kasuri as well. 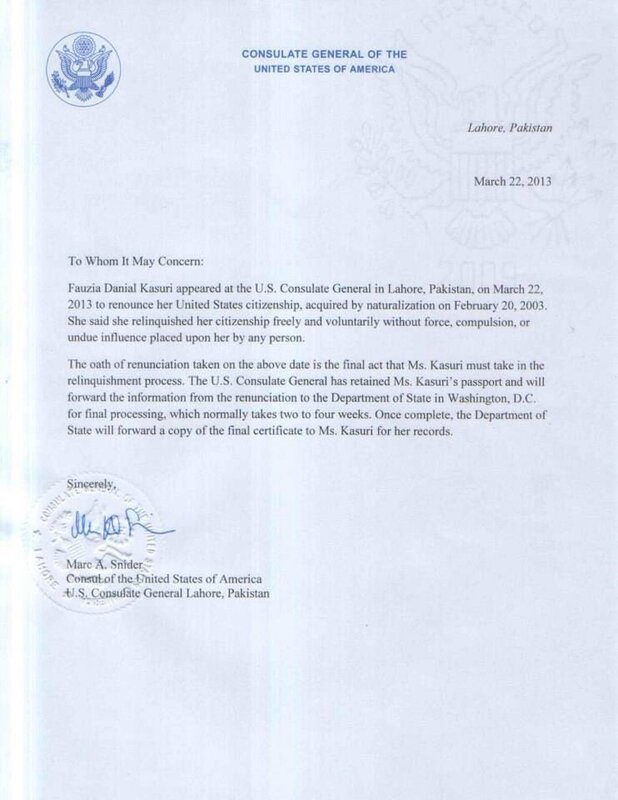 Ms. Fauzia Kasuri however claims she renounced her US nationality on 22nd March, 2013. She shared a copy of certificate obtained from US Consulate Lahore that confirms her claim. Earlier Ms. Kasuri appeared before returning officer and presented her documents regarding the relinquishment of her US nationality. national on Mar 22, 2013. However, the returning officer has rejected her candidature for NA 247 citing not enough information regarding the renouncement of her US nationality. Ms Kasuri recently joined Pak Sarzameen Party after developing differences with party leadership of her previous party, Tehreek-e-Insaf.